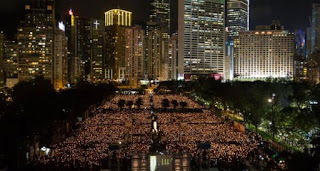 The Fragrant Harbour: Will Xi Listen to the Tiananmen Mothers? 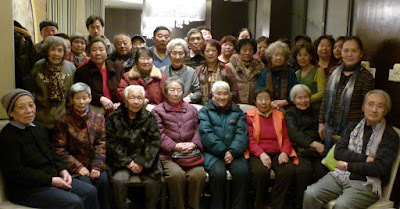 Will Xi Listen to the Tiananmen Mothers? A few days ago, before the 29th anniversary of the Tiananmen Square crackdown, the families of the protesters killed sent an open letter to Chinese President Xi Jinping asking him to acknowledge their suffering and "re-evaluate the June 4th massacre". The letter, dated "the eve of 2018 June 4th", the Tiananmen Mothers, an association of parents whose children died protesting against the central government, said: "Each year when we would commemorate our loved ones, we are all monitored, put under surveillance, or forced to travel. "No one from the successive governments over the past 29 years has ever asked after us, and not one word of apology has been spoken from anyone, as if the massacre that shocked the world never happened," said the letter, which was released by the non-profit group Human Rights in China. "The 1989 June Fourth bloody massacre is a crime the state committed against the people. Therefore, it is necessary to re-evaluate the June Fourth massacre," the letter said, calling for "truth, compensation and accountability" from the government. It is heart breaking the parents need to do this every year -- to get the attention of the government and plead their case. For Beijing not to acknowledge the incident means the hundreds, probably thousands of people who died -- not just students, but also ordinary people -- died in vain. It is sad that an entire generation of young people are not clear on what happened 29 years ago -- they were taught to believe the students protesting were violent and branded counter-revolutionaries. Thank goodness Hong Kong will continue the tradition of commemorating this event. This open letter will probably be read out that evening and speeches will be made, pleading for the release Liu Xia, the wife of Liu Xiaobo from house arrest. People around the world must keep the issue alive, to tell Beijing we will never forget and that it must be accountable for its actions 29 years ago. Who is the Prick Leaving Needles on Buses? Is the MTR Caring for Life's Journeys? Where to Start July 1 March? Why Knock a Good Thing?